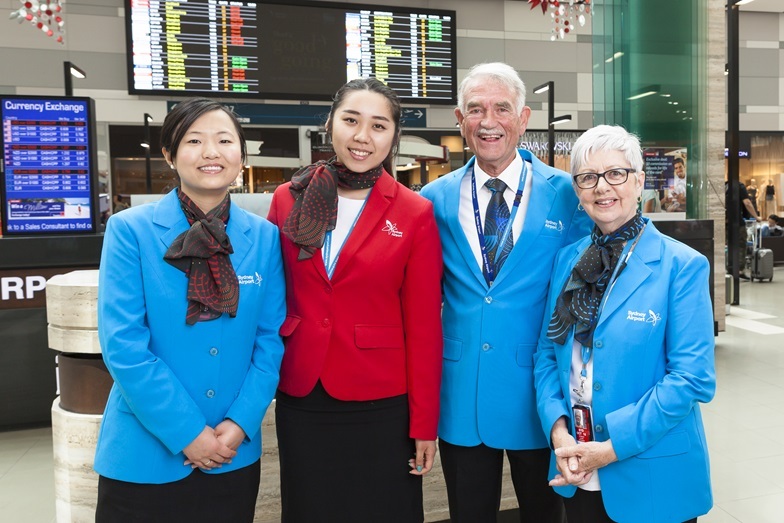 The Sydney Airport Ambassador program has been providing exceptional customer service to passengers visiting the airport since 1999. Our volunteer Ambassadors offer a warm welcome to visitors, creating a positive first and last impression of Sydney. There are Airport Ambassadors located at T1 International and T2 Domestic, ready to assist you with any information you may require during your travels. The Sydney Airport Ambassador program provides an opportunity to welcome and assist people from around the world, make new friends and be a vital part of Australia’s busiest airport. We're looking for English and Mandarin speaking volunteers who are team focused and willing to commit to weekly volunteer shifts. If you would like to offer a smile and a helping hand to travellers as they arrive and depart from Sydney, please complete an Expression of Interest to tell us a bit more about yourself. Should you require further information, please email our Program Manager Michelle Minogue.